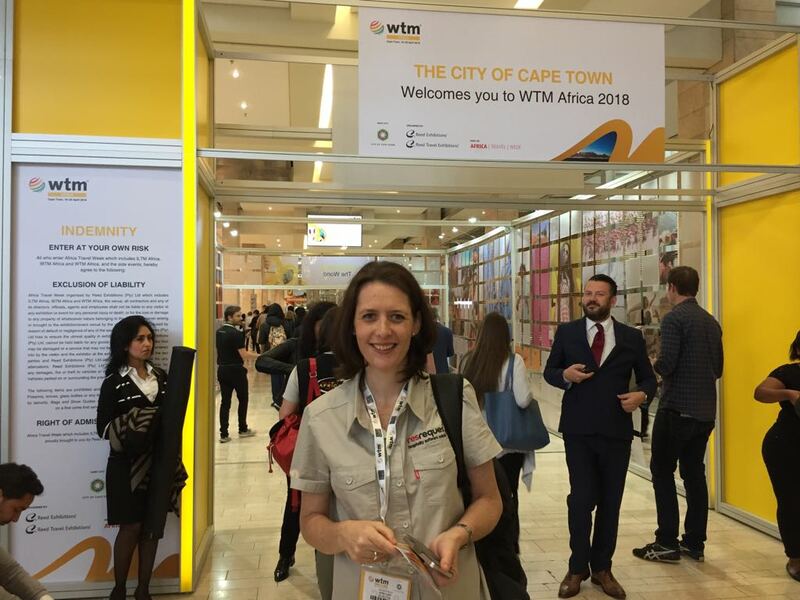 It was that time of the year again and time for WTM Africa 2018 in Cape Town. As has become tradition, Natasha and Ntando took our ‘Flavour your day’ mints, brochures and ResRover, our newly appointed mascot. On arrival in Cape Town, it was clear that they were no longer in Durban. The chilly Cape weather greeted them and Ntando realised that he hadn’t packed enough warm clothes! 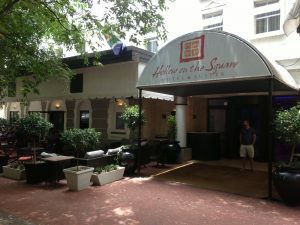 Driving to the hotel in Cape Town became a tour of the city as finding the hotel was more complicated than anticipated, and with the hotel tucked away in a small lane, walking there was the best way to reach it! 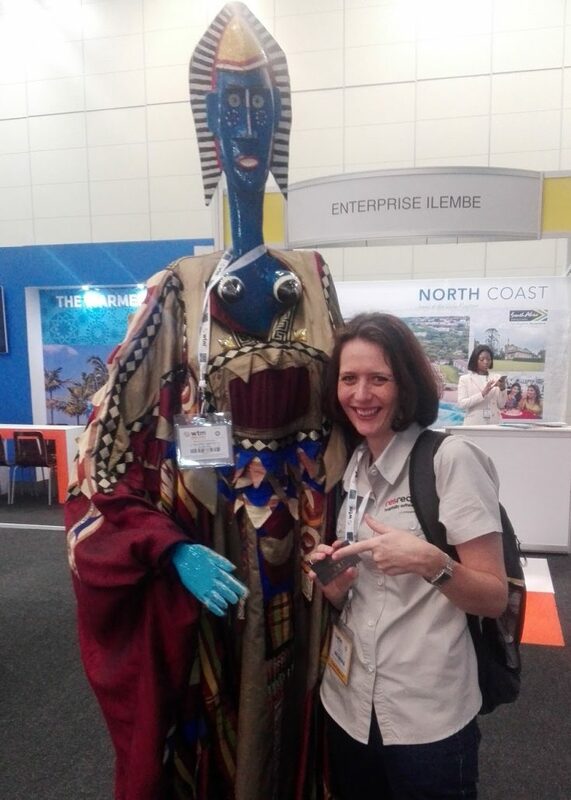 WTM Africa runs for three days and attracts some of the biggest names in the hospitality industry. Our Sales & Marketing team wore their boldly branded shirts ensuring that they could always be found! They thoroughly enjoyed the show with plenty of people to chat to and met up with some great prospective customers and our technology partners, Wetu, Expedia and Tourplan. It was a full 3 days of talking and meeting friendly travel professionals. Meeting up with our customers at these travel trade shows is a great way to check in with them and to put some names to faces. 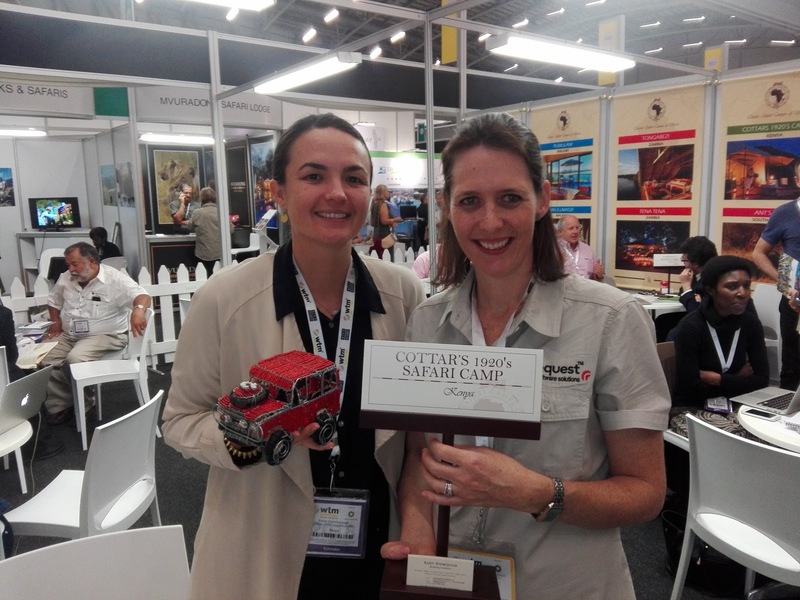 They found the exhibitors to be very hospitable and open to business opportunities. On the first day, certain exhibitors hosted festivals on their stands – sharing local flavours and showing off their hospitality skills. This created a fun and festive vibe of music, traditional dancing and tasty titbits. ResRover stole the spotlight with clients oohing and aahing over him but we had even more to share as we recently launched our ResInsite product. A business intelligence platform created by ResRequest and Pomerol Partners. Our customers were excited to chat about how using this tool can help them make better business decisions. 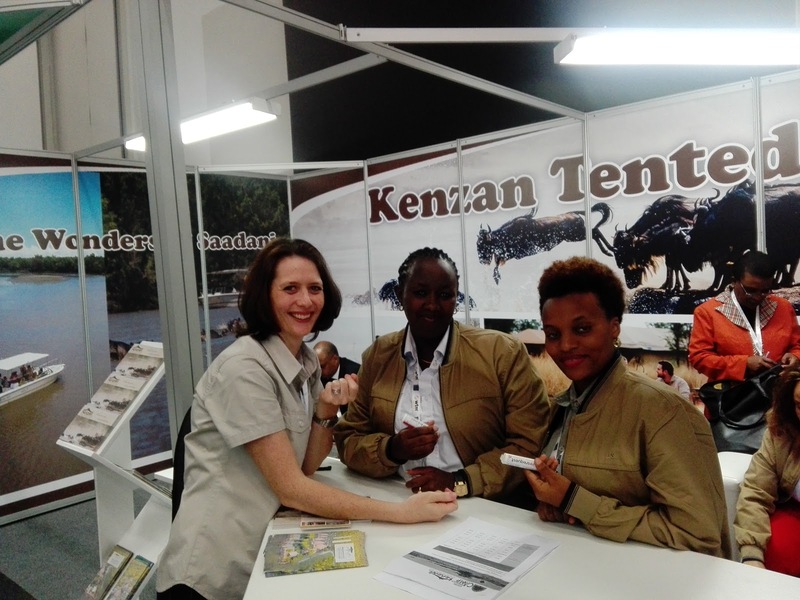 Overall the show was a fantastic event to meet with clients, especially the very new clients like Serengeti Acacia Camps and Kenzan Luxury Mobile Camps who have recently implemented ResRequest. It was also great seeing clients who have been using ResRequest for a long time and to share with them about ResInsite. The ResRequest team love having the opportunity to visit the Mother City – even if there isn’t time to enjoy all that the city has to offer and despite the water shortage, Cape Town never ceases to disappoint. Even rush hour traffic around the mountain can’t even dampen your spirits. Luckily the next time that we get to visit is just a few weeks away – for FUSE, We Are Africa’s Un-Conference.